Ecuador is situated in the middle of the world. The capital is Quito. 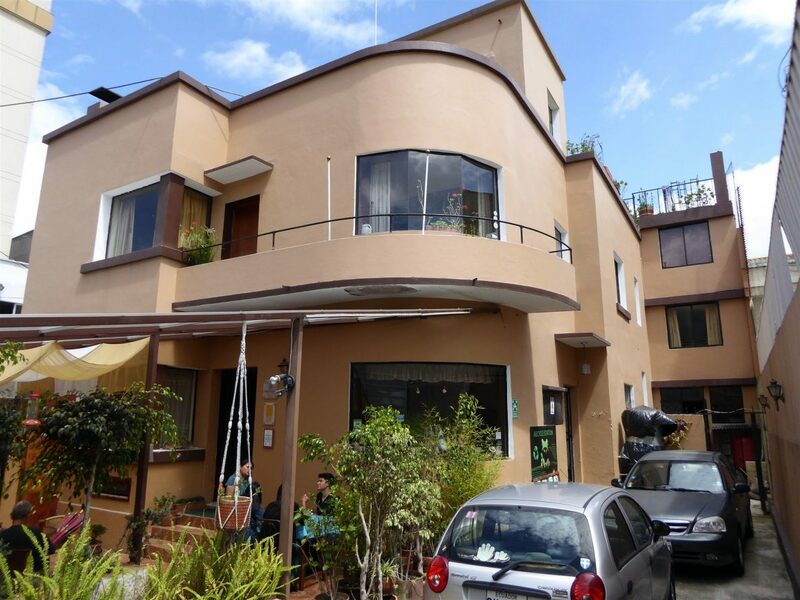 In the middle of the part of Quito called Mariscal just 100 meters from Avenida Amazonas you find Jhomana, close to all banks, bus terminals, discothèques, bars, restaurants, shopping malls etc, but jet far away from all the noise. Our guests that are coming back to us often say ”It feels so good to be back home again!” We consider that very flattering, since our main goal is to make our guests feel just like they are at home, enjoying their stay with us. At Jhomana among many other services you have free access to our guest computer with Internet connection. The whole hostel with surroundings and outside areas are also WI-FI connected. and pay your tours. We get better prices than you, we know where to look and what not to book. All the time we get new really good last minute offeres. For your convenient, all day tours start from Jhomana, so instead of waiting for others to arrive to the pickup point, you enjoy your breakfast in our cozy restaurant.